I had reported about GamePop by BlueStacks a Indian run startup, which will now support iOS Apps and Games. Well the company is not resting on its laurels. 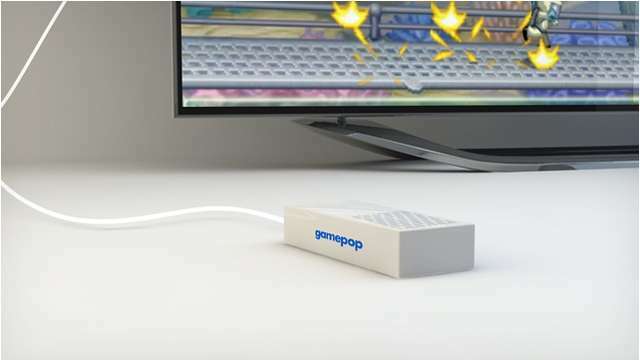 Facing the heat from Ouya, which incidentally was declared a sold out just moments after it went for sale, GamePop makers have announce a gaming console of the size of a packet of gum to be given free with 1 year subscription of the GamePop console. 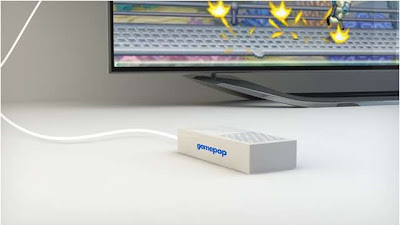 The GamePop console itself is free if a buyer takes a 1 year subscription for $6.99 (Rs.420.00) a month upto July 1. So as a buyer you will get GamePop and GamePop Mini if you go for the yearly subscription offer from BlueStacks within next two days. Though not much is known about the hardware and specs of GamePop Mini it is said to have the pretty much same capabilities as GamePop sans some ports and accessibility options. The GamePop supports Android and iOS games and Apps which can be played and run on your normal Television sets. After July 1 the GamePop console will cost $129 (Rs 7700.00).